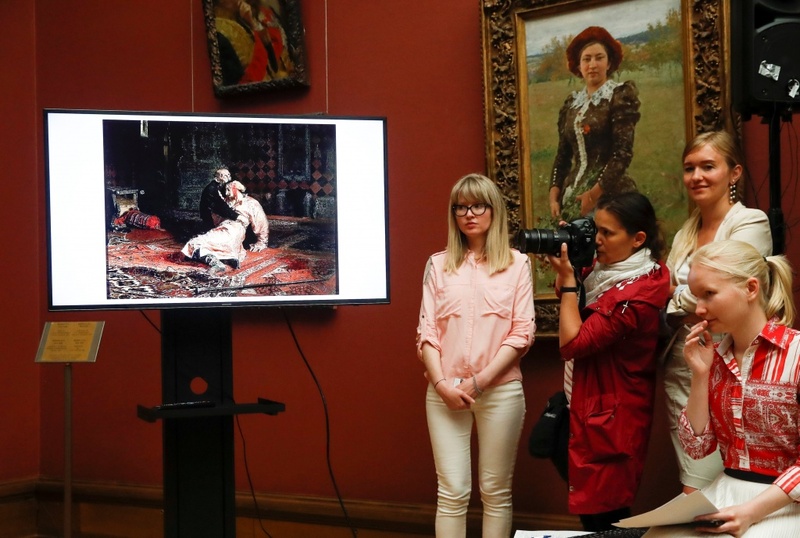 The incident at Moscow’s State Tretyakov Gallery on Friday caused serious damage to one of the country’s most famous paintings, which depicts Tsar Ivan the Terrible cradling his dying son in 1581, and raised awkward questions about how Russia protects its historical and cultural artefacts. 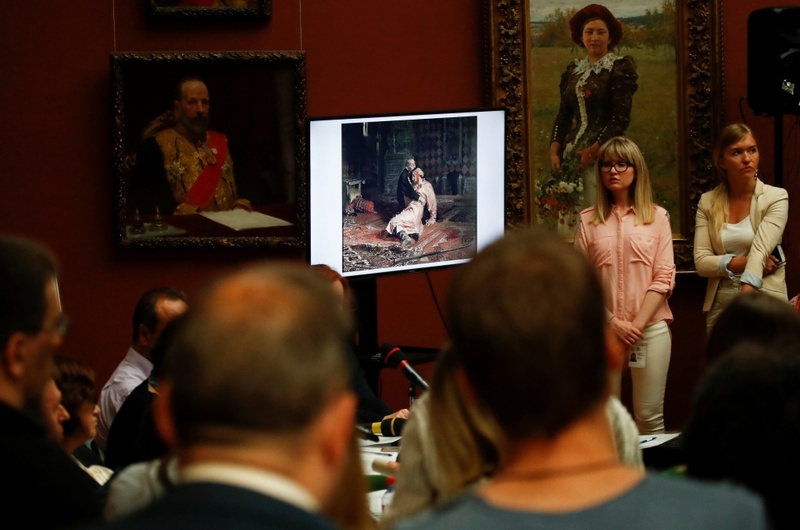 The damaged painting was completed by renowned Russian realist Ilya Repin in 1885 and was described by its curators on Monday as a masterpiece in the same league as the Mona Lisa. In an interior ministry video, a 37-year-old man called Igor Podporin described how he had knocked back 100 grams of vodka in the gallery’s cafe, became “overwhelmed”, and then used a metal security pole to strike the canvas several times. 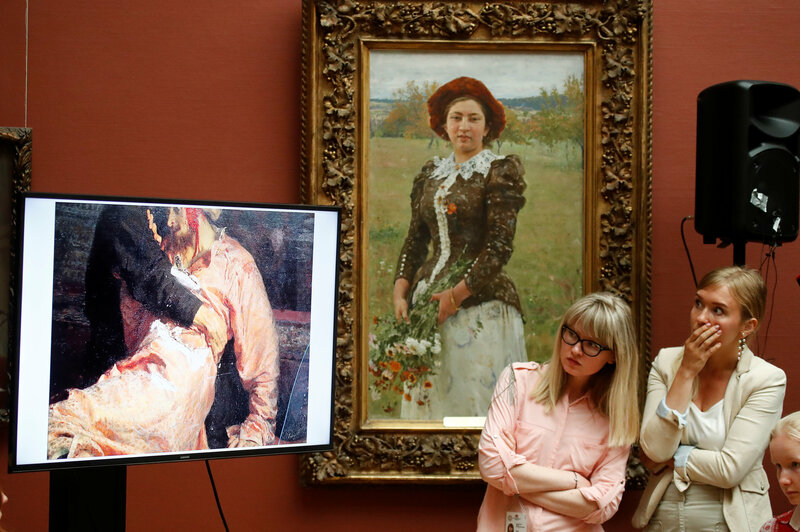 Zelfira Tregulova, director of the Tretyakov, said she wanted to stop the sale of alcohol on the gallery’s premises and would be holding talks with the lessees of an on-site cafe and restaurant. “As we’ve now understood, there were small bottles of wine or cognac in the cafe. We’re going to talk to the cafe and ask them to remove them,” she told a news conference. It would be harder to persuade a separate restaurant, accessible from both the gallery and the street, to stop selling alcohol, she said. “The incident was awful and frightening and speaks to the aggression which reigns in society,” said Tregulova, complaining that people were increasingly unable to distinguish between works of art and the documentation of historical facts. Vladimir Aristarkhov, the deputy culture minister, said that jail time for such attacks should be sharply increased from a current three-year maximum, disclosed Russia’s museums had a shortfall of around 1,000 security guards, and called for the attacker to be made an example of. The Tretyakov’s curator, Tatyana Gorodkova, told reporters that Podporin had shouted something at the time of his attack to the effect that Ivan the Terrible did not kill his son. The painting depicts Ivan cradling his son after dealing him a mortal blow. Some Russian historians and nationalists dispute the idea that Ivan murdered his son. 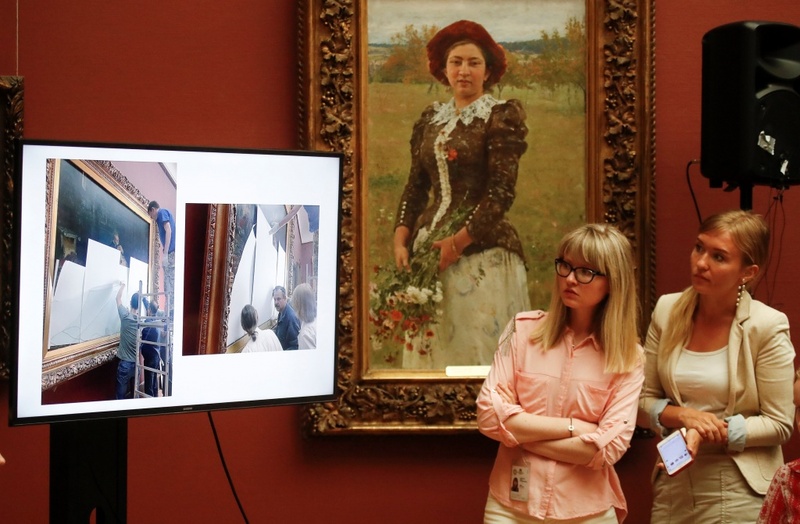 The painting, which will be protected by a bulletproof case after being restored, has never been valued because it has never been lent out, but another work by Repin was sold for over $7 million in 2011. The painting was attacked in 1913, prompting the then gallery’s curator to commit suicide. 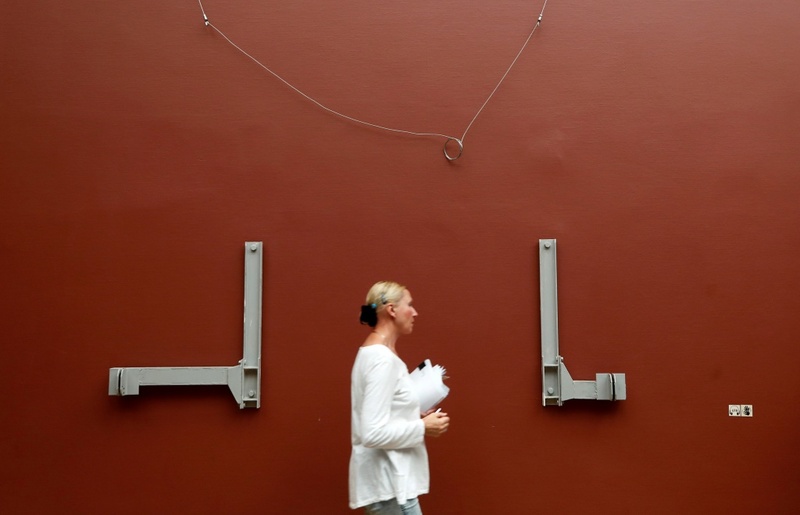 When asked if she took responsibility for the latest attack, Tregulova, the gallery’s director, quipped she would not be taking her own life and said the incident had been hard to stop. “It was not possible to do anything. It was a question of seconds,” she said, saying the gallery nonetheless planned to review security.